At Cleaners Putney we have been delivering top quality home cleaning services in the past ten years. 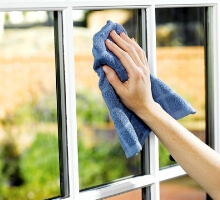 The quality of our work is known in all Putney since it is done by professional cleaners with over 10 years experience. All of them are background checked, fully insured and vetted. They are equipped with the latest cleaning materials and tools. You should know that a professional house cleaning service can handle all the cleaning tasks in your home. You should not even provide instructions to the cleaners since they are supervised and have enough knowledge. However, you may prepare a list with cleaning priorities if there is something that needs special care. The house cleaning services we offer include: one off cleaning, regular domestic cleaning, carpet and upholstery cleaning, end of tenancy and move in cleaning. You can chose a cleaning package according to your needs and book a cleaner for day and time that suits you more. If you have additional questions about our house cleaning services you can contact us via e-mail or over the phone. We work seven days a week and will be glad to assist you.